At Eon, we proudly roast our coffee beans locally. We use a high quality PROBAT roaster which allows for a wide range of options when bringing out the special characteristics of different kinds of coffee beans. 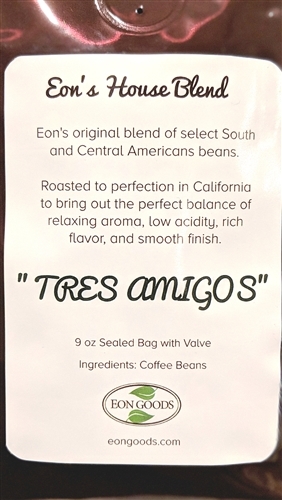 Eon's original blend of select South and Central American beans. It is roasted to perfection in California to bring out the perfect balance of amazing aroma, low acidity, rich flavor and smooth finish. 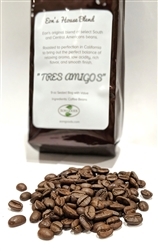 Roasted in small batches to maintain high quality. 1.Why do you roast your own beans? The first reason is to provide freshly roasted beans. Because we are a small coffee shop, we also roast in small batches. This means we work hard to bring out the special attributes characteristic of each kind of bean. This adjustment is done manually by our experienced roaster, checked through smell of the roast, the sound of the beans roasting, and through visual color. 2.What are the characteristics of a good roaster? Beans roasted by a careful roaster are not too burnt. 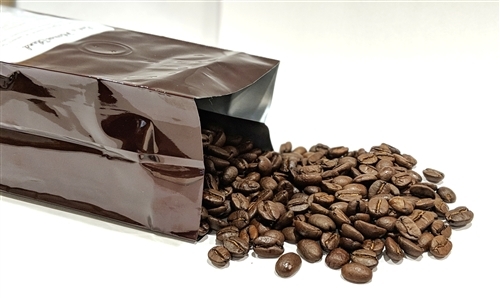 When roasting is done by an automatic machine, beans tend to be over roasted, giving the subsequent coffee a burnt taste. Our roaster comments that, 'the art of roasting is the technique of taking out water.' He carefully monitors the roasting process and adjusts temperature and duration accordingly. 3.What is unique about the way we roast? When the beans are done roasting, we ensure quick cool off through three combined methods. First, as the beans are poured out of the roasting drum, they are cooled by a powerful vent from underneath. Next, there is also an electric fan that simultaneously cools from the side. And lastly, our roaster wields a fan by hand. All of this is in effort to prevent further burning from residues of heat, and to keep the taste in. Afterwards the batch is examined and beans not up to par are picked out by hand. We hope you enjoy our coffee!